It’s a huge pleasure to introduce you to this week’s Smarty Mom, Michelle Accetta! 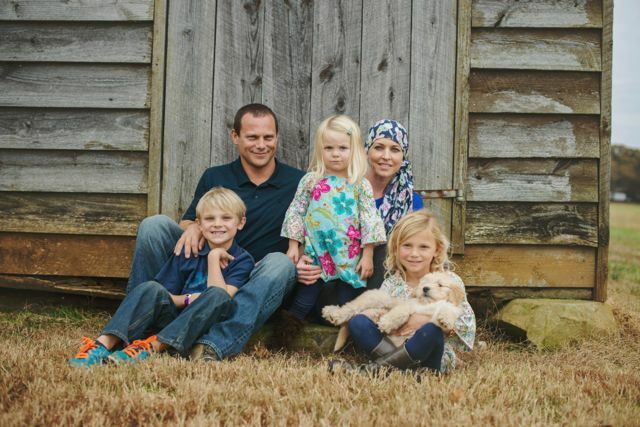 Michelle is a QC native who currently lives near Lake Norman with her husband and three beautiful children. She and I were friends in college, and have now found ourselves both Pure Barre devotees – in fact, we both loved it so much that we became instructors! She inspires the women of Lake Norman to get their lift, tone, burn on in a BIG way. Last year, I was shocked to find out that Michelle had been diagnosed with leukemia. It was one of those “it could happen to anyone” moments that just take your breath away. Her grace and beauty over the last year have been truly inspirational, and I am SO excited to share her story with all of you! 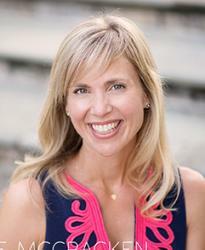 Smarties, meet this week’s Smarty Mom, Michelle Accetta! You were diagnosed with leukemia last year. Tell us how you’re doing today. I was diagnosed with Leukemia (AML) last June. I am in remission now and I feel great! I finished my treatments in October and just go for routine lab work to check my blood every six weeks. How has your diagnoses changed your outlook on life? My Leukemia diagnosis has changed my outlook on life for the better. It has helped me not to sweat the small stuff as much, to have a greater appreciation for everything – big and small, to love and laugh more and it has strengthened my faith and trust in God. It has also shown me there is so much kindness in the world and it has helped me to see the kind of person I would like to be. I have been overwhelmed by the kindness and generosity of others over this past year…family, friends and even complete strangers who have gone above and beyond to help me – some in ways I never would have even imagined. I am trying to pay it foreword every day. How has it changed you as a mother and wife? As a wife and mother my diagnosis has helped me to genuinely appreciate every second with my family. I left for a follow-up doctors appointment one Monday in June and didn’t come home again or see my children for four weeks. I can remember doctors and nurses asking how old my kids were and I would have to look to a family member in the room with me to answer them because I couldn’t even talk about them without choking up. I missed reading them stories at night, tucking them in, taking them to the pool, going on family bike rides…I just missed them. There are times now that, just like anyone, I get stressed about day-to-day things, but I always try to remember that feeling of not being able to be with them for those simple activities and take a deep breath and remember how lucky I am just to be there, with them, for all of it. It definitely gave me a new perspective on how awesome it is to be both a mother and a wife. What are some ways others can help friends who are sick? What did you find the most helpful? I think the most important thing you can do for a friend who is sick is just to reach out to them and let them know you are thinking of them. I loved getting phone calls, emails, cards, texts, Facebook messages – even if it was just a quick, ‘thinking of you’, they would lift my spirits and brighten my days. And, I really love to laugh, so whenever someone sent me something funny – even finding humor in the seriousness of the situation – laughter really is the best medicine. Another great way to help a sick mother is to offer to help with her children. I am so lucky to have wonderful family and friends who took them to the beach, the pool, sleepovers, playdates – you name it, they did it and it gave me so much peace and lifted such a weight off my shoulders just knowing they were having fun and happy. We are so glad you are healthy!!! Now some things to get know you a little better :-). You’re also a Pure Barre Instructor in Lake Norman. What do you love about Pure Barre? What do you think makes it different? I love that Pure Barre challenges me physically as well as mentally. It is one hour each day that I completely devote just to me. It helps me clear my mind of anything else going on and helps to strengthen my body like no other exercise has ever done. What’s your guilty pleasure? Anything at the spa – manicures, pedicures, facials, massages – I love it all…definitely my go-to treat! Favorite thing about the Charlotte area? The Lake – I love living close to the water! You are an awesome person and I am blessed to have you as a friend! So good to “meet” you, Michelle! We ADORE Pure Barre!